We are often asked about the upslope setting on a Tig welder, how does it work and what is it used for. 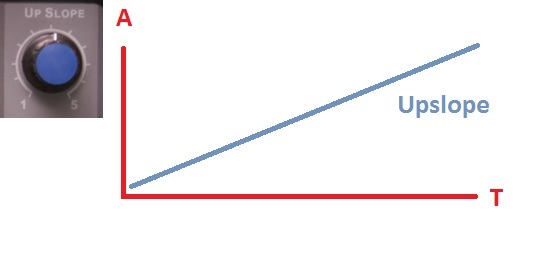 Upslope is a control that allows the amperage to rise (slope up) over the period of time set for this setting. March 7, 2014 AC DC Tig welders, Buying a welder, Products, Tig welders for sale, Tig Welding, Welding Guidestig welder upslope control, upslope controls, what does up slope do, what is up slope?